• Soaked the almond for overnight. In morning, grind it and mix raw milk. Apply it on face and neck. Wash it with cold water when it becomes dry. You should do it for few weeks for good result. • Soaked the almond for overnight. In morning, grind it and mix yogurt in it. Wash it after few minutes with cold water. This removes extra oil from the skin. It is also beneficial to avoid pimples. • The mixture of almond with papaya is beneficial to avid dark skin. • The mixture of almond paste with multani mud with rose water is beneficial to remove viscosity. This gives glow to the skin. • The mixture of almond paste with oats and milk gives nourishment to dry skin. 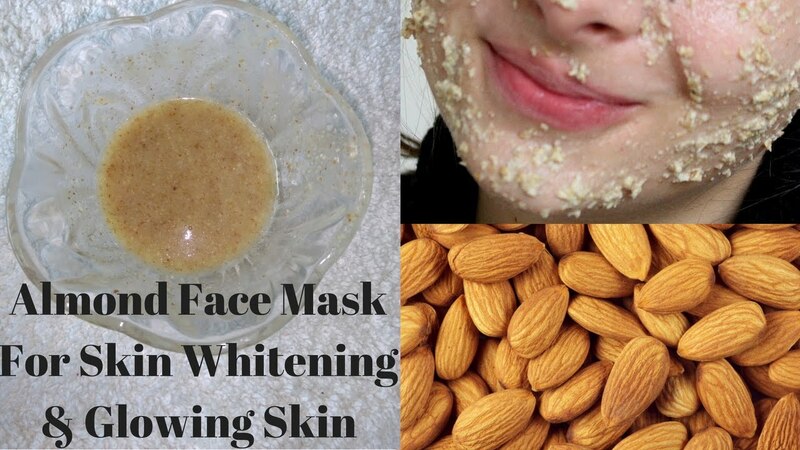 • The mixture of almond paste with banana reduces roughness of face. This gives shine to the face.